Thanks to an incredible outpouring of support from its partners, volunteers and supporters, the 2018 Back to School Consortium event was a huge success! 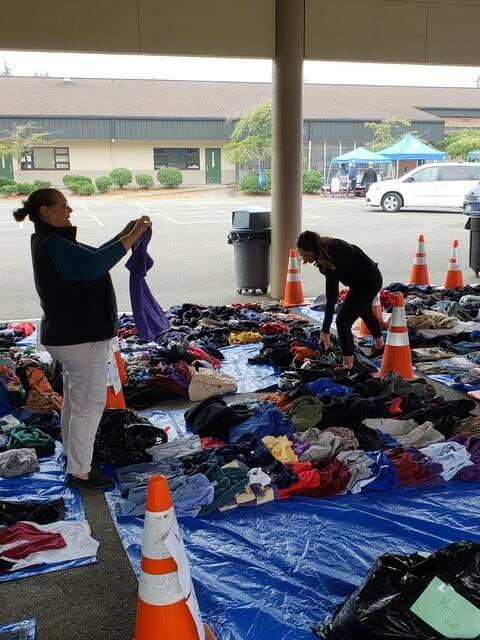 The event, which was held at Ridgecrest Elementary on Saturday, August 25, 2018 served 981 students from 420 families that live in the Shoreline School District boundary or attend a Shoreline / Lake Forest Park school. Each student received a new backpack, school supplies, underwear, socks, toothbrush and hygiene products. Additionally, each family received shampoo, conditioner, soap, and toothpaste. A Better Day Salon and James Alan Salon provided free haircuts to help students look and feel their best for the start of the school year. Volunteers set up sweatshirts by size. Attendees were able to take what they needed. The Rotary Club of Lake Forest Park cooked and served hundreds of free hot dog lunches for families to enjoy while socializing and visiting the dozens of community resource booths. 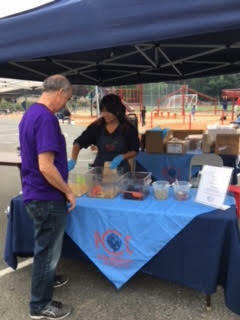 PCC was one of the many community partners who participated in the vendor fair. The resource booths, staffed by local businesses and service agencies, shared helpful information, resources and fun activities at the event. Backpacks and supplies were provided by community members who generously donated funds and/or school supplies to the event. 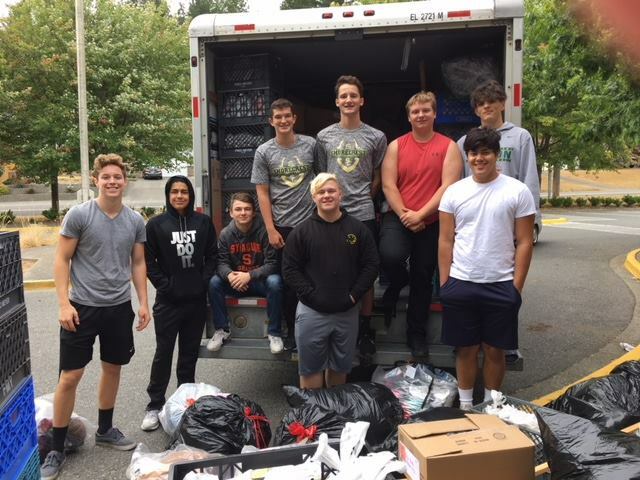 If you dropped a new backpack or school supplies into one of the yellow school bus donation boxes around town or donated funds directly to the event, you helped a Shoreline School District student start the school year off on the right foot. hygiene, and clothes to Ridgecrest in preparation of the event. Consortium members include: Center for Human Services, Hopelink, Dale Turner YMCA, City of Shoreline, Shoreline School District, Shoreline PTA Council’s The WORKS, Turning Point, Ronald United Methodist Church, Shoreline Community Care, Lake Forest Park Rotary, and The Salvation Army would like to thank all of the individuals and community groups who volunteered their time, including Shoreline Rotary. and hygiene items to The WORKS after the event. The Back to School Consortium wishes to thank the hundreds of people who donated their time, resources and funds to help make this event such a success and positive start to the school year for so many! 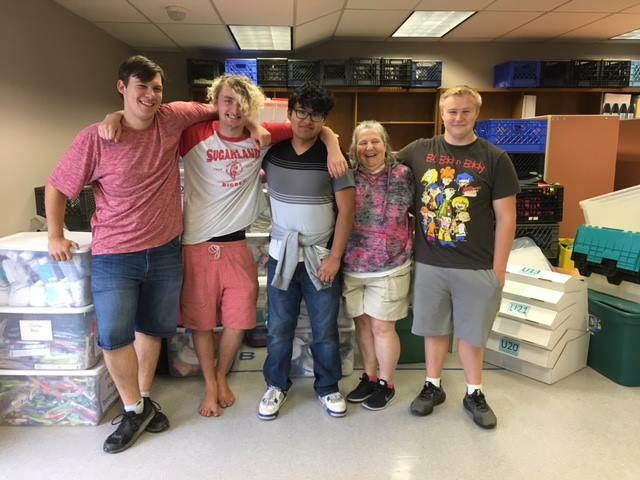 If you missed this event and need assistance with clothing or school supplies, please contact Jill at The WORKS at shorelineptaworks@gmail.com or leave a message at 206-393-4916.